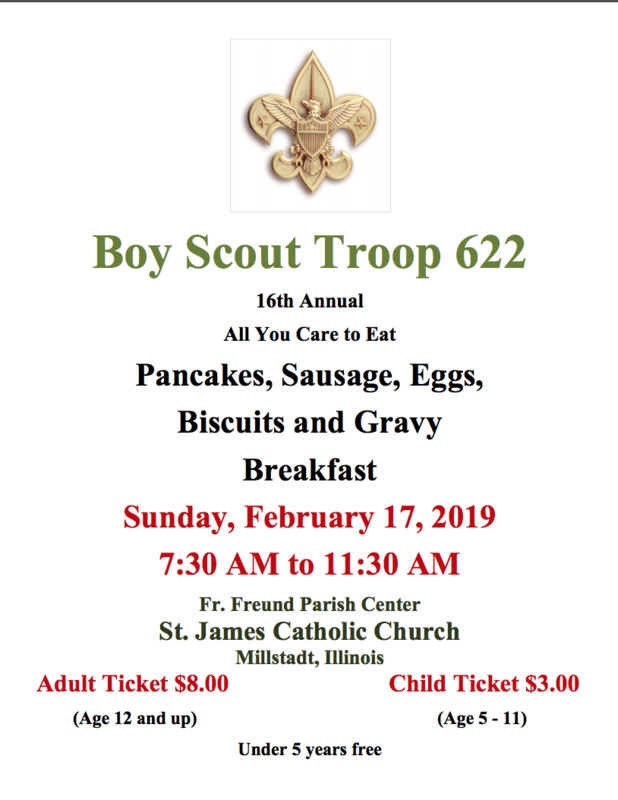 Boy Scout Troop 622 16th annual all you care to eat pancakes, sausage, eggs, biscuits and gravy breakfast. St. James Catholic Church Parish Center in Millstadt, IL. Under 5 years is free.